Stream anime episodes online for free, Watch One piece Episode 21 English version online and free episodes. 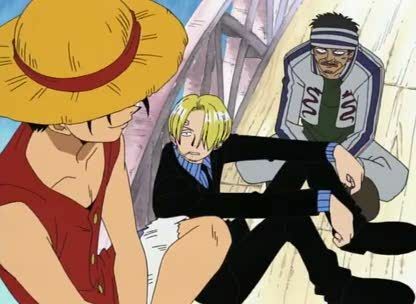 Anime Episode guide One piece Episode 21 English dubbed Respecting Sanji After a review of the last episode, the episode begins with Patty, a cook for Baratie, picking his nose in the bathroom while making a monologue about how serving the customers who have money is the number one concern for a restaurant. Upon leaving the bathroom, Patty becomes furious when he sees that Sanji is beating up Fullbody, who is a customer. Sanji replies that customer or not, Fullbody insulted a chef and his food.